Stone Lake Dental, located in Wichita Falls, TX, provides comprehensive dental care for the restoration and enhancement of our patients’ smiles. Experienced and highly skilled dentists Drs. Rafael A. Perez, Sarah Fritzsch, and Brianda Hernandez work to create customized treatment plans based on the wants and needs of each patient. 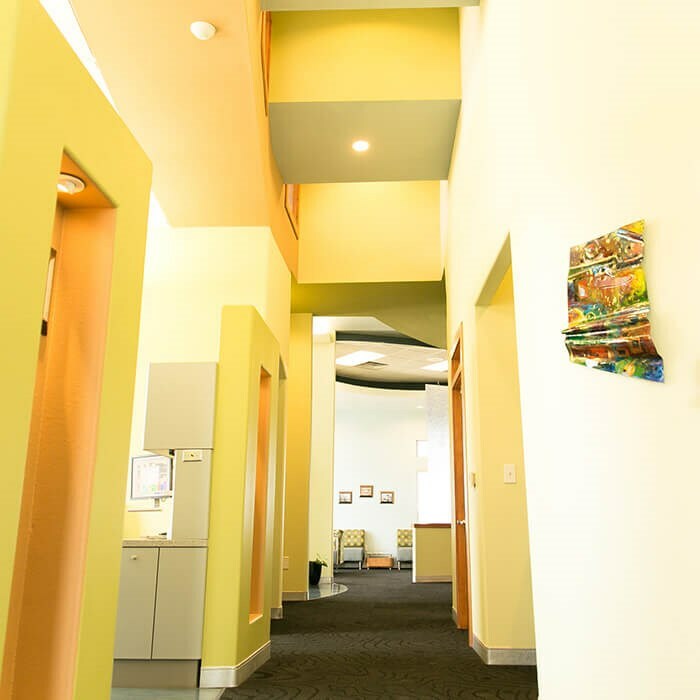 In our modern facility, we ensure the comfort of our patients throughout their treatment process or consultation and help educate patients on ways to maintain and restore their oral health. To learn more about how we can restore your confidence in your smile, we invite you to browse our complete list of offered treatments. Drs. 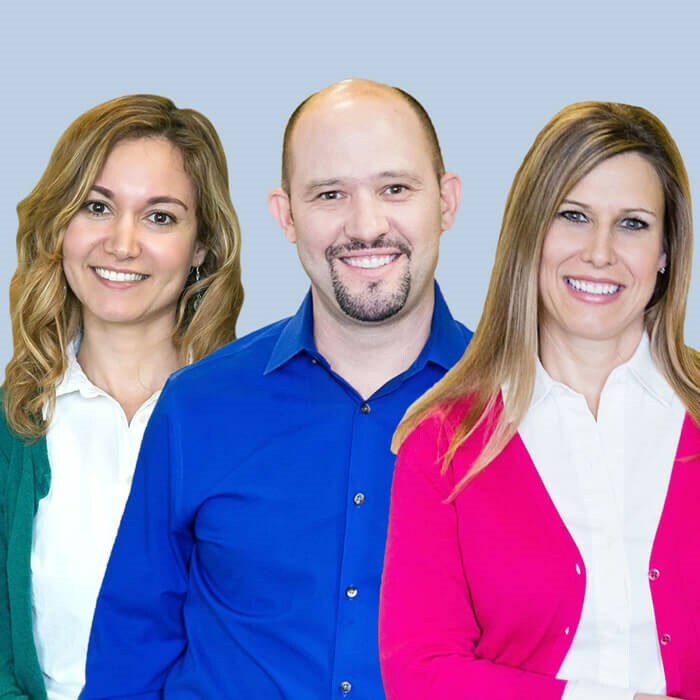 Rafael Perez, Sarah Fritzsch, and Brianda Hernandez are experienced dentists offering general, cosmetic, restorative, and advanced dental treatments for Wichita Falls, TX patients. Through personalized procedure plans, they can help restore both the health and aesthetic appearance of your smile. As a part of cosmetic dentistry, they perform teeth whitening, dental bonding and contouring, veneers, and smile makeover procedures. With advanced technology, they also offer a wide array of restorative treatments to replace missing teeth and protect existing teeth and oral health. Through general dentistry, they can also identify any issues before they develop further. View each dental professional’s complete bio to learn more about their individual credentials. Dr. Perez and staff are all great! Highly recommend Stone Lake Dental. Excellent, professional treatment by Dr. Hernandez and the staff. I was nervous about going back to the dentist after years not going. Dr. Perez made me comfortable and the staff has been great every single visit. If you're hesitant to go back to the dentist, do it, and go to Stone Lake Dental! I had a tooth extracted and my husband had a filling.Dr.Hernandez and Sierra were wonderful! Amazing atmosphere! Immediately they make you feel welcome. Always greeted with a smile and laughter at this office. The receptionists are thorough and keep you informed and are always prompt in returning calls. Ease of getting an appointment is a plus. Lyndie and Dr Perez are phenomenal. Their caring and competent nature’s ease anxious patients. Honest, trustworthy care is what they provide. It was a blessing to find Stonelake Dental. Forever grateful for all they have done. Browse our patients’ feedback about our practice. Meet our trained team of dental professionals.